You may recall that last year I published 7 interchangeable hexagon motifs called the Hexagon Project 2013. As you know, I love hexagons and I have so many flying around in my head that I could not resist another project – so The Hexagon Project 2014 has just been launched. This year I have designed 6 interchangeable hexagons, one will be published each month for 7 months (with a one month gap in the middle). 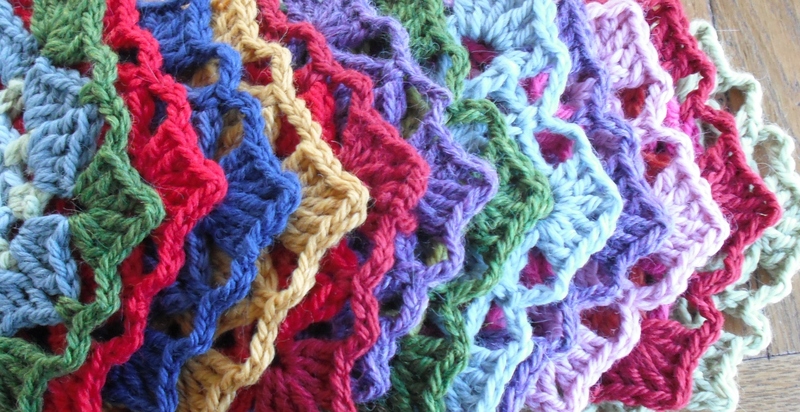 They are also included in an ebook which includes ideas to inspire you on what to make with the hexagons – layouts for scarves, shawls and blankets. And the ebook includes half hexagons, for extra versatility. They are so pretty! 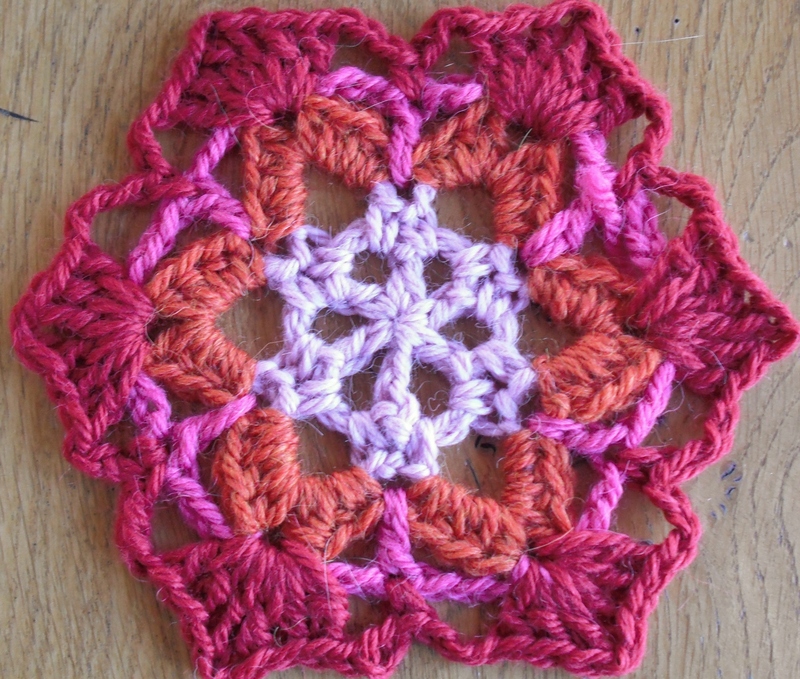 I’m hoping to learn to crochet this year, maybe I’ll give these a try one I do..
Crochet is so rewarding, and good to interchange with knitting, so if you have the time it is well worth learning!